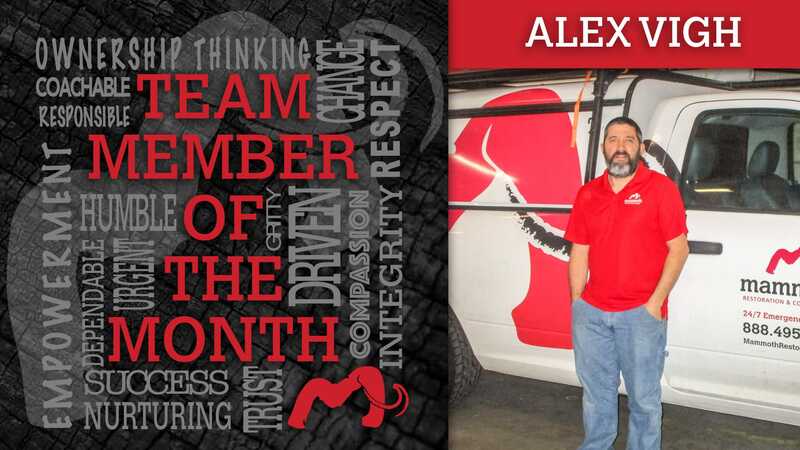 I would like to congratulate Alex Vigh for being recognized by his peers and being voted for the Mammoth Team Member of the Month. Ever since Alex has been here he’s been the consummate team player. Alex has the highest gross margin of any Project Manager in the company’s history, yet, still finds time to help the mitigation team on jobs, answering after hours calls. He is one of the first guys in the Doylestown office every day and he lives in NJ. (over an hour from work) Alex is an “A-Player” for sure. If I was a Project Manager for Alex, his number would be at the top of my speed dial.